Before Superman showed up in Metropolis the city was in trouble. There were supervillains wrecking the streets and robbing banks with no one there to stop them. Then one day an alien from Krypton came into town and made sure that he would stop any wrong doing. But it wasn't all easy for this made of steel because some of the villains wouldn't take no for an answer. This just made Superman even more determined to make sure the citizens of his fair city stayed safe. 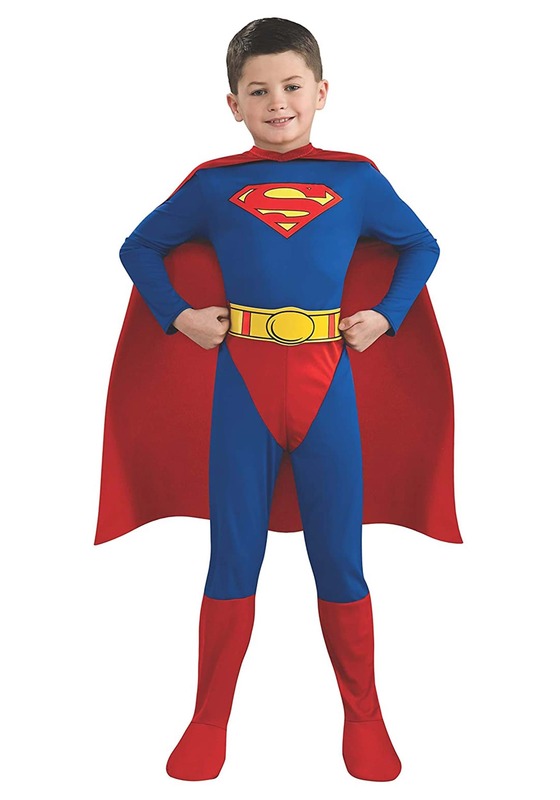 Now your little one can take on the likes of Lex Luthor, Bizzaro, and Mr. Mxyzptlk in this super costume!